“Slender Man” had all the elements to be a great scary movie but unfortunately the filmmakers dropped the ball. The end result failed to live up to the trailer where they did everything right to give viewers the perception of an action-packed movie. I can’t help but think I wasted a Groupon on such a predictable movie. “Slender Man” takes place in suburbia USA. The storyline centers around a group of teenaged girls who are best friends. 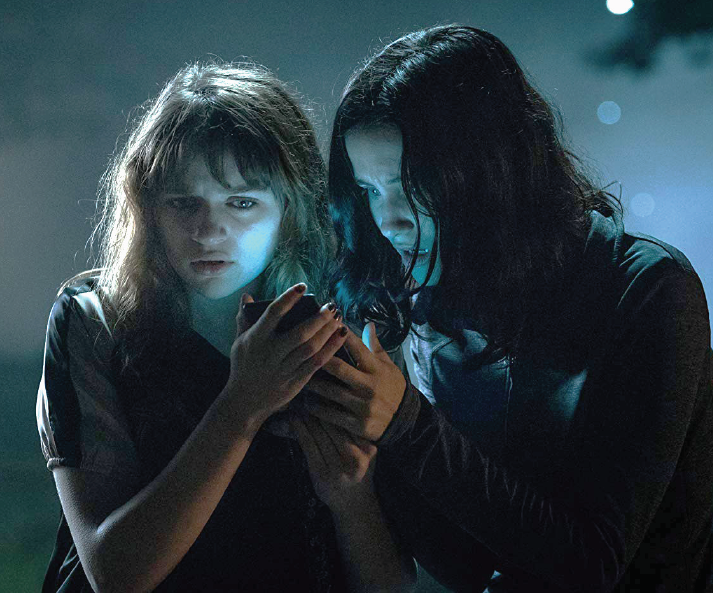 The main characters are Katie (Annalise Basso), Wren (Joey King), Hallie (Julia Goldani Telles), Lizzie (Taylor Richardson) and Chloe (Jaz Sinclair). The creators of “Slender Man” did a great job with casting. Each girl played her part and for the most part they came across believably. There were, however, some moments in the film that left me asking, “What was that?” For example, there was a scene in the woods where Chloe was running and screaming. Her screams sounded forced. She didn’t have a good horror movie scream. The movie also fell very short in storyline development. It was as if everything was normal one second and the next second it was pure chaos. Like many teen horror films, romance is mixed with the killing. Unfortunately, the romance was so misplaced it didn’t make sense. In a typical horror film, if there is a love interest, the romance is actually part of the storyline. The sound effects were great and gave viewers an occasional jolt. The rest of the movie was lacking. Overall “Slender Man” left me very disappointed. I was bored and it even put me to sleep a few times. I would not recommend this movie to a scary movie lover, like myself, but I would recommend it to people who typically don’t watch horror films. You will definitely survive the experience.